In 1843, Anne found w ork for her brother Branwell with her employers as a tutor for their son. He was considered to be a success but he also entered into a two-year secret affair with his tutored kid’s mother. Branwell was removed from his post when the affair was discovered and this led to him becoming depressed and reliant upon alcohol. His subsequent decline in health led to his premature death a few years later. 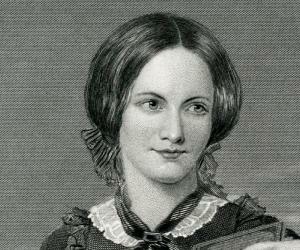 It was in 1846 that the Bronte sisters turned authors. They paid for a volume of their own poetry to be published, which they did under pen-names. They each chose male pseudonyms and Anne was published under the name ‘Acton Bell’. However, their book of poetry only sold two copies during the first year so it was not the success that they were hoping for. Each of the sisters started work on the novels for which they would later become famous. ‘Agnes Grey’, Anne’s novel, was eventually published by a London-based publisher, Thomas Cautley Newby at the same time that Emily’s ‘Wuthering Heights’ was accepted by the same publisher. However, even though Charlotte had to wait for her second novel before she was published, it is clear that the way in which ‘Jane Eyre’ was constructed was influenced by the way in which Anne had written ‘Agnes Grey’. Anne’s second novel was ‘The Tenant of Wildfell Hall’, which soon outsold her sister’s work. However, it would not be long before personal tragedy would befall the family. Branwell and Emily both died in 1848, and a few months afterwards, Anne contracted the illness that would end her life prematurely. Her sister Charlotte prevented further editions of ‘The Tenant of Wildfell Hall’ from being published after her death, saying that the work went against Anne’s nature. This action is partly responsible for Anne being the lesser-known of the three sisters.